The Roomba robot vacuum has become an integral part of most smart homes today. And why not? It is endowed with so many helpful and smart features that it is a handy aid to busy homeowners. So, what are these features that endear them to their owners? A Roomba works excellently on carpets and rugs. If your carpets and rugs are laden with dust, debris or pet hair or dander and need deep cleaning, running the Roomba over them would more than serve the purpose. The later models come with tangle-free rollers that are great for picking up dirt from tiled flooring. Roomba is excellent when it comes to picking up pet hair. Whether you go in for a basic model or a new one, they are adept at picking up pet hair. So, if this is your primary need for a Roomba, don't spend too much on new models that come with unnecessary bells and whistles. This technology recognizes the parts of the home that are dirtiest and need deep cleaning and works on cleaning them. This refers to the length of time that the battery will last in one charge. There are models that have long runtimes, such as Roomba 630 (90 mins), Roomba 671 (90 mins) and Roomba 980 (120 mins). The effectiveness of runtime on a Roomba’s efficiency is also seen in terms of area to be covered by the gadget. For instance, for small homes, the Roomba 640, 652 and 877 are perfect. If your home is medium-sized, choose to go with either the Roomba 630 or 671. Larger homes should invest in Roomba 960 and 980 that have runtimes of 75 and 120 minutes, and recharge as they work. This technology is an umbrella term for sensors that locate dust and dirt and clean in a front-back sweeping pattern, which keeps it stable. The vacuum does not bang into walls and other hard barriers, thanks to this technology. Further, Roomba prevents hitting walls and other solid barriers as it uses Light-Touch bumper technology to light its way. With regular use, the robot learns its way around the house and so enhances its efficiency. A good Roomba is usually equipped with sensors that act as guides around each room so that the gadget doesn’t bump or collide into furniture or items lying around. By including a virtual wall as a prime feature, Roombas block off certain parts of the home that don’t need cleaning. Except for Roombas 652 and 671, almost all these robotic vacuums have an inbuilt virtual wall. A modern Roomba robot vacuum comes with sensors that recognize the location of its charging station. When the battery runs out of charge, the cleaner automatically docks itself and auto-recharges. By using lithium-ion batteries, you’ve got the most recent technology. This ensures that the dust particles are totally captured and not re-released into the air. Being Wi-Fi enabled, the Roomba can manage the vacuum when it works on its own. It helps to schedule the gadget, help move it around correctly and track its movements, checking where it’s already cleaned. You can choose from Roomba 960 and 980 for these features. All Wi-Fi-enabled Roombas are compatible with Google Home and Amazon Alexa, enabling you to control the gadget with your voice commands. This includes brushes, filters, wheels, and batteries. Buying vacuum filters from third parties is more affordable than from the manufacturer. So, Is A Roomba Worth Buying, After All? Each Roomba model has been designed to answer the different needs of each home, as also the floor surface you have, your budget, whether you have pets or not, etc. If you are a pet-owner, look out for models with silicone rollers so that tangled hair comes off easily. Some of the latest models like Roomba 805 and 890 are equipped with voice commands that only make your life easier, so perhaps you could consider these. If you’re on a tight budget, you can choose from Roomba 630, 640 and 652. So, you see, there’s something for everyone, but it’s definitely a thumbs up for the Roomba, no matter which model you choose and how prohibitive the cost. Why do dogs hate vacuums & how to overcome that? Meet The Real Furball, Persian Cats! 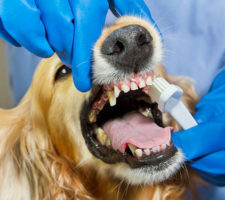 Pet Insurance Benefit and All Other Staff! As pet, Cat or Dog which one is better ? Help us save more lives. You can also donate in honor of a loved one or in loving memory of a pet. 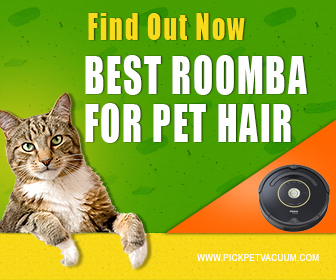 Copyright © 2019 by Best vacuum for pet hair.